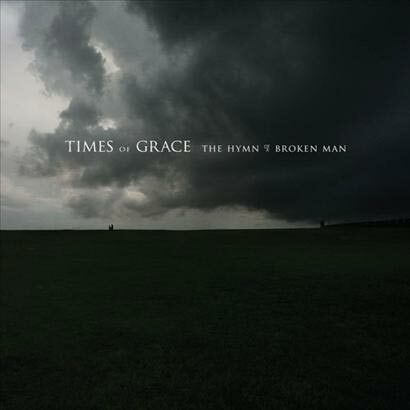 Times Of Grace " The Hymn Of A Broken Man"
So this was my first time going to the Bottomlounge which is in a small bar type place with a venue in the back. It’s also in the middle of nowheres. I’m pretty sure doors opened at about 6:00 with me getting there at about 6:15. When walking through the front door to the venue I saw a large group of people standing in front of a tour bus (the bands park their bus right in front of the place), and who is it that I see. ADAM D! (guitarist of Times Of Grace and Killswitch Engage). He looked at me and saw me KSE shirt and smiled and kinda did a wave head bob type thing. I was so in the moment of seeing him that I didn’t go over to meet him. I punch myself everyday for it. But onto to the bands. The show started about 45 minutes late as the opening band “War Of Ages” said they were stuck on the highway in Chicago traffic. We all knew there was traffic so we forgave him. Plus they came on stage and from the second he picked up his mic the crowd was into the band. Great energy and was able to keep a huge pit going for the size of venue. Also was great with the crowd. Really enjoyed the band and hope they get the spotlight they deserve and that I get to see them again. Also after Times Of Grace I saw the entire band was just hanging at their merch table so I walked over and ended up meeting all the guys and getting a picture with the lead singer and I a signed cd by all the guys. It’s actually a great cd too! Next up was Straight Line Stitch (who are playing the side stage at this years “Mayhem Fest”). The only thing I knew going into them was that their lead singer was a girl. SLS were actually pretty great live too but just couldn’t get a pit going. It was like everyone just stood and got close to listen and see her. I mean shes not really a bad looking chick. Overall though they put on a good show and some dude during their show hopped on stage in like a medical mask and started headbanging only for the guitarist to point him offstage after a minute. The band thought it was funny though. After they played I saw the lead singer was at the merch table taking pictures with everyone. (there was a long line) so I got into line and got my picture with her. Actually talked to her for like 5 minutes and shes extremely cool and down to earth. The only person from a band too that introduced herself to me and asked for my name and remembered it throughout our talk which makes me give her alot of respect. Also apprently I was the only person shes met on the tour that wished her good luck at Mayhem. . I also noticed now that they played a few songs off their newest album which at the time didn’t come out for a few months. Last up though was Times Of Grace! Now with only having 1 cd and it being kinda short and knowing that Jesse refuses to play anything from KSE I knew ahead of time it was only a 45 minute set. From the second Strength In Numbers started it was insane. Nice pit formed and everyone up front was going crazy. I was able to stand about 3 people from the stage on the left side next to some metal pole which turned out great for the pictures and videos I took. Jesse is perfect on vocals and dead on off the record. Adam D is insane on guitar and by far one of funniest guys I’ve seen. He may not have had a cape on but he did run around the stage doing random things. Also his scream and stuff is insane sounding. They thanked everyone for buying their cd and Jesse said how much it meant to him etc etc. They were happy with the turnout. They did play some slower song which Jesse did say was just a random thing they play. 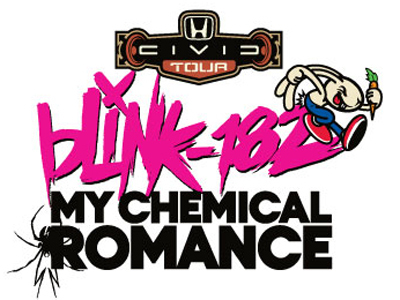 Don’t remember it or remember where it was in the setlist. Overall all 3 bands did a great show and made it a great night.